Equipped with powerful Twin MTU engines, this 25-meter yacht achieves speeds of 33 knots.Its four elegant cabins accommodate 8/9 guests - the master cabin offers a breathtaking sense of space with large open view windows.Two separate crew cabins for 4 people ensure a maximum of privacy.The extras on board leave nothing to be desired, including a large, lowerable bathing platform for easy access to the water, a huge flybridge with teak and every imaginable toy such as William Jet Tender, jet ski, bikes, etc. Enjoy a 4.5 million EUR yacht of your dreams for only 750,000 EUR* (1/3 share). 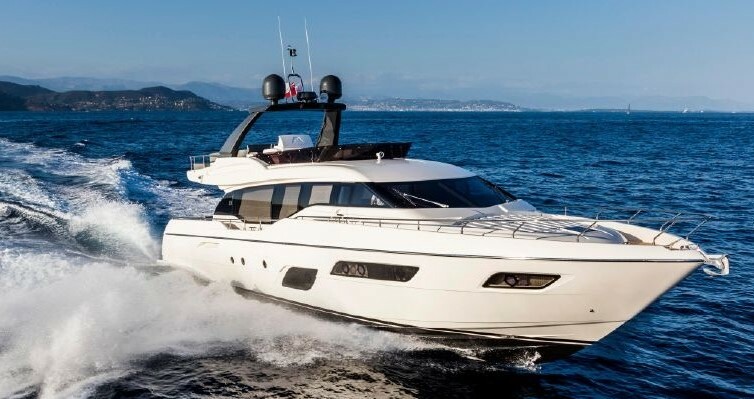 As a co-owner, you have all privileges of your own yacht with total flexibility in choosing your usage periods - without long term obligations and can be sold at any time. Toys: Williams Jet Tender 450, Jet Ski, 3 Bikes, etc. SYS Yacht Sales is pleased to assist you in the purchase of this vessel. This boat is centrally listed by SmartYacht AG.